Well it's time to roll out the red carpet and get the best china out of the dresser as we welcome a most noble lady to the salon. Princess Mary of Great Britain's life was not always happy but she faced her domestic strife bravely, proving herself a devoted mother and sister. 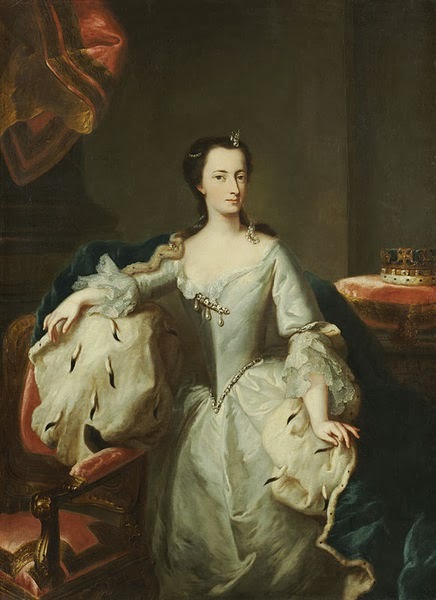 Princess Mary was born at Leicester House to Caroline of Ansbach and the Prince of Wales, later to become King George II. On his coronation, Mary took the title of HRH the Princess Mary. Raised by her mother and and elder sister, Caroline, Mary was a bookish and academic girl devoted to books and education, with little interest in high society. Nevertheless, as a princess of Great Britain it was a given that she would make a good noble marriage and when Mary was 17, it was agreed that she would marry Frederick, later to be Landgrave of Hesse-Kassel. Mary was granted £40,000 by parliament for the marriage and the proxy marriage took place on 8th May 1740, with the young bride travelling to Kassel the following month for a lavish ceremony. There she found a domineering and, according to Walpole, brutish husband waiting for her and from the start, the marriage was deeply unhappy for Mary. Indeed, before they had been married a decade, Mary holidayed in England for an extended period to escape her husband. Despite their differences the couple did have four children, three of whom survived childhood. However, the marriage remained strained and by 1755 the couple were formally separated, with Mary happy to use her husband's conversion to Catholicism as an excuse to leave. Mary moved to Denmark to care for the family of her late sister, Louise, raising her own sons at the Danish court and here she remained for some time, despite her father's entreaties to come home to England. Eventually Mary and her children took up residence in Hanau, with the support of her father in law, Landgrave Wilhelm VIII. 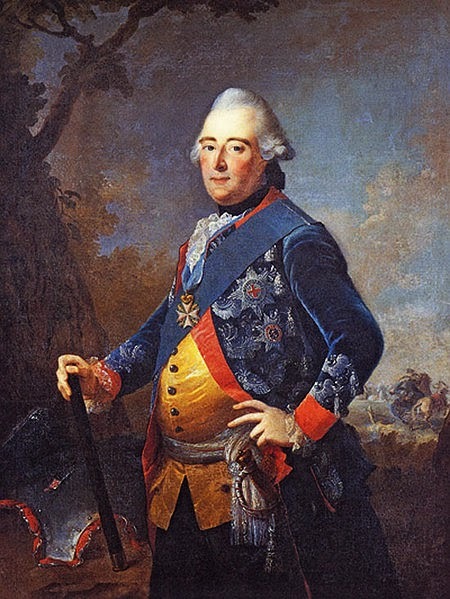 When Wilhelm died in1760, he left instruction that Mary should serve as regent as Hanau until her eldest son came of age and could take his place as Count of Hanau. The Landgravine Consort of Hesse-Kassel lived happily in Hanau for many years, retiring from public life as her health began to fail. She died peacefully at home and was buried in the Marienkirche, mourned by her family and the people of her adopted land. "Duty" is often a heavy burden to bare,Madame? And she did so with great dignity. I'm glad she was appreciated in her final years. She was a true Lady, Madame.